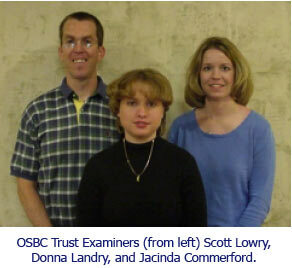 The OSBC Trust Examiners are in this quarter's Employee Spotlight. The Trust Division of the OSBC currently has three employees that conduct examinations of 11 trust companies and 56 trust departments throughout the state of Kansas. Because of the specialized nature of trust administration, having a separate Trust Division provides banks and trust companies with examiners who can concentrate solely on trust issues and are specifically trained in this area. Scott Lowry, a native of Abilene, Kansas, graduated from Kansas University in 1985. He received a law degree in 1987 from Washburn Law School, Topeka, Kansas. Scott began his career with the OSBC in 1987 as a legal assistant in the Topeka main office. He became an examiner with the Trust Division in 1992, working out of the Topeka field office. In February 1998, Scott was promoted to Supervisor of the Trust Division. 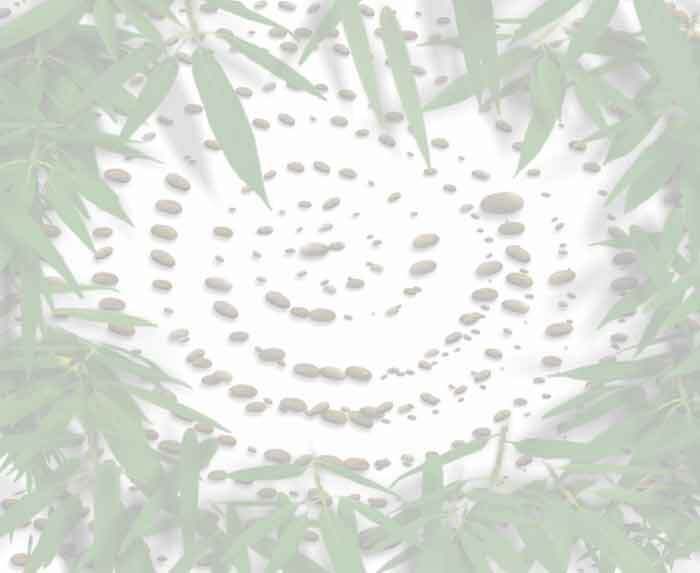 Scott is a Certified Retirement Services Professional (CRSP). Away from work, he is an avid swimmer and is a member of the Master Swim Club of America. As the father of a teenage daughter, he is kept busy running to her many activities. Scott wants to express to newsletter readers that the Trust Division strives to maintain an environment supportive of prosperity and growth for Kansas trust departments and companies. Jacinda Commerford grew up in Salina, Kansas, and attended Kansas State University where she received a degree in marketing. Hired by the OSBC in 1992, she was originally stationed in the Topeka field office. In 1997, she transferred to the Overland Park field office. She became a Certified Trust Auditor in 1997. This year, she was a member of the planning committee for the OSBC Annual Conference. Jacinda is married, has a young child, and enjoys attending KSU football games. One part of her job that she enjoys is working with the trust officers during examinations. Donna Landry, the newest examiner in the Trust Division, is stationed in the Topeka field office. Topeka, Kansas, is her hometown. She attended Washburn University in Topeka and graduated in 2000 with a degree in marketing/management. Donna joined the OSBC in March 2001. She is currently being trained in trust examination procedures and will begin working on obtaining various trust certifications. Donna keeps busy with family and enjoys playing tennis. She looks forward to a rewarding career in the OSBC Trust Division.